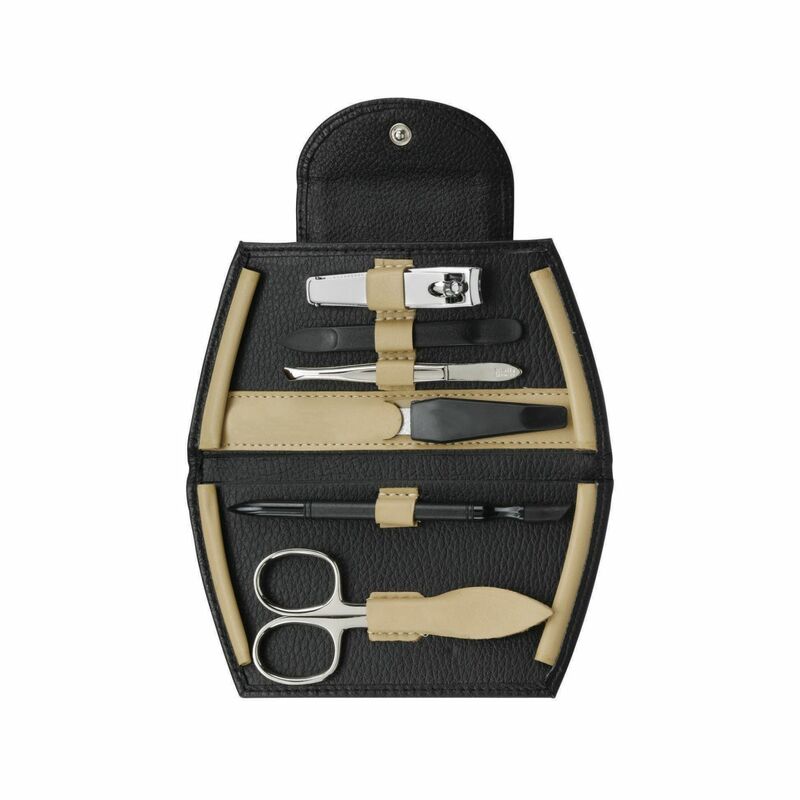 Stunning quality leather, with six implements, four of which are precision made nickel plated, carbon steel. 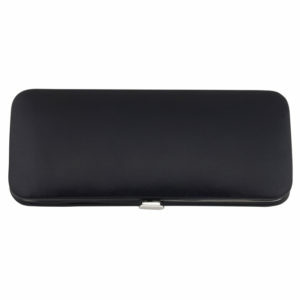 The black, purse shaped leather case has contrasting beige leather inside and out with press stud fastening, beautifully finished with matching beige leather stitch detail. 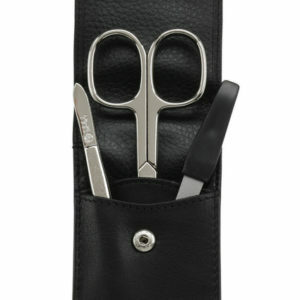 Precisely crafted Solingen implements made by skilled craftsmen using a combination of inherited craftsmanship and state of the art technology. 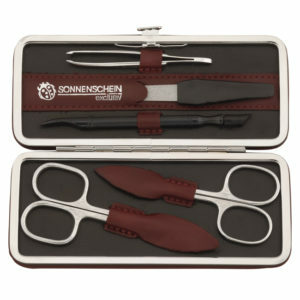 The nail file is made from fine particles of sapphire, with heat hardened scissors to preserve cutting ability. 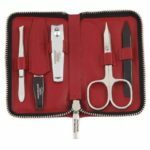 Tweezer tips are ground by hand for the finest grip, slanted at the tip for perfect tweezing every time – these are high quality products designed to last a lifetime. Manicure sets for the discerning purchaser who recognises quality. 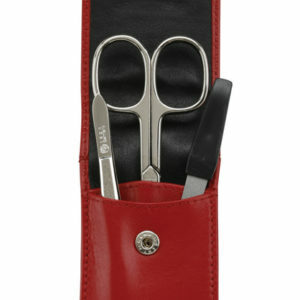 Also available in black with red leather trim.